Featuring a striking photograph of a Fallow Stag, this plastic tray measures 21 cm x 14.5cm, has two raised handles on either side and a 1.5cm raised edge. The perfect size for serving a cup of tea and biscuits. 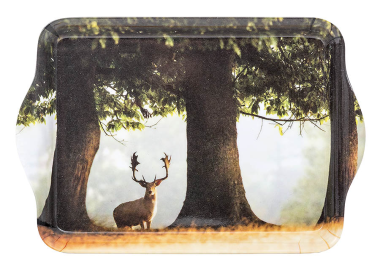 An ideal stocking filler or small gift for shooting, stalking and country enthusiasts.